If you grew up in the 80s or 90s, then you’d probably remember dancing to the musical hits recorded onto a mixtape. The Just For Laughs festival is bringing back that nostalgic feeling in their latest interpretation of Footloose for the stage. A number of shows were put together to celebrate the upcoming 35th anniversary for the Just For Laughs festival, Footloose being one of them. Gilbert Rozon, president and founder of the festival, left a quote in the play’s program on how the moral of the story in Footloose is similar to the Just For Laughs festival mandate. The St. Denis Theatre was host to the premiere of this comedic musical on Tuesday. Classic tunes from the 70s and 80s were blasted from the speakers as pedestrians stood outside of the doors in anticipation, watching as people walked down the red carpet and into the venue. The music was carried into the theatre itself as songs from notable artists such as Journey, Billy Idol and Michael Jackson filled the space. The audience sat back in their seats and smiled knowingly every time they heard an old song that they thought they had forgotten as memories of when we used to have portable CD players and cassette walkmans resurfaced. The story of Footloose follows a young boy named Ren McCormack, played by Philippe Touzel, who leaves his home in Chicago to go and live in a small town called Beaumont. In this town, dancing is considered dangerous as it may bring on promiscuous behaviour, and is therefore illegal much to the dismay of Ren. While watching the play, it was interesting to see how the actors used every part of the set. Most props had more than one purpose and were transformed into different scenes altogether, making for smooth transitions. For example, the lockers used in the high school hallway scene were unfolded and opened up to create different scenes where Ren is confronted by a police officer for playing his music “too loud” only to be whisked away into another scene where he’s in a living room being scolded by his mother and relatives for making trouble. The performances from all of the actors were powerful and realistic, truly having nailed the characteristics you’d see in typical teenagers who want more to life than what their small town to has to offer. Even the background characters put on a good performance, constantly doing their own bit, making for an energetic feel to every scene. One girl would be arguing with her boyfriend before spilling a drink in his face, while other characters would be meeting up to make plans. Every character—main role or background—had a purpose to every scene. Each song that was sung by one of the actors got the audience’s attention, urging them to clap along to the tune and cheer as the song progressed. “Holding out for a Hero,” originally composed by Bonnie Tyler, was sung by all the women onstage, including Geneviève Bournival who played the role of Rusty and Éléonore Lagacé who played the leading lady role of Ariel Moore. Every performer who had a singing role had powerful voices that really helped bring the musical numbers to life. The performers were not restricted to the stage, occasionally stepping down and moving in between the aisles of the theatre space. An interesting way of making the performance that much more immersive for the audience. 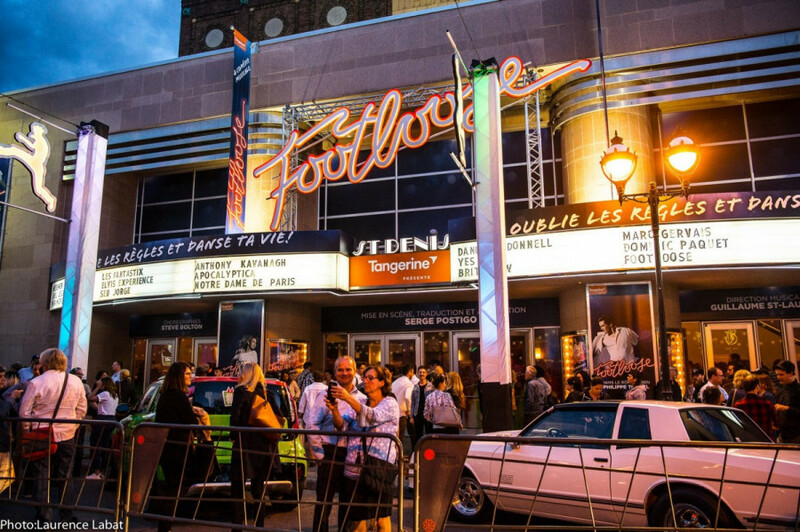 Overall, Montreal’s Footloose was an energetic, musically charged and fun experience that mesmerized the audience and left them with smiles on their faces. 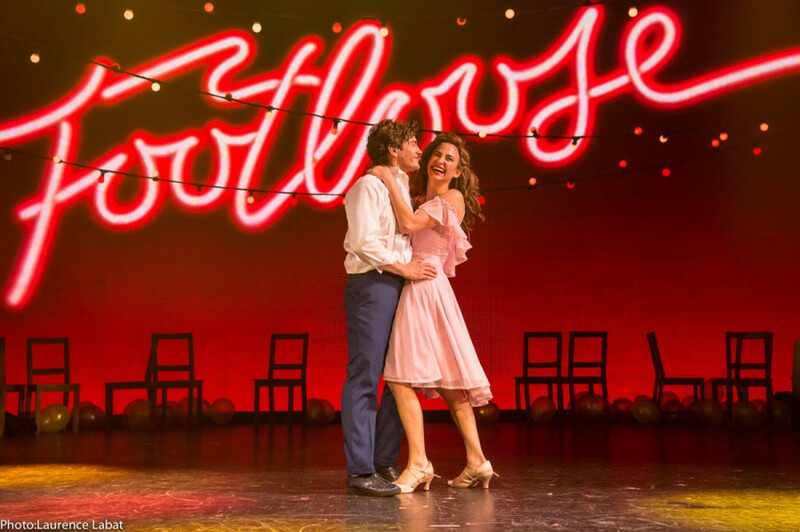 The play ended in an explosive burst of musical energy, and the cast received a standing ovation from the audience who continued to clap along and cheer until the last song of the night faded away and the lights turned back on.